Google is retiring Picasa… why didn’t they Open Source it? “Since the launch of Google Photos, we’ve had a lot of questions around what this means for the future of Picasa. After much thought and consideration, we’ve decided to retire Picasa over the coming months in order to focus entirely on a single photo service in Google Photos. We believe we can create a much better experience by focusing on one service that provides more functionality and works across mobile and desktop, rather than divide our efforts across two different products. Chinese Internet Firms to Buy Opera! Wow, Opera being bought by Chinese Internet companies! ZDNet – By: Jake Smith – “Opera has received a $1.2 billion buyout offer from a consortium of Chinese Internet firms, the company announced on Wednesday. The consortium includes Kunlun and Qihoo 360 and is backed by the investment funds Golden Brick and Yonglian. Opera’s board recommends the deal. The $1.2 billion offer is a 53 percent premium on Opera’s close as of February 4 on the Oslo stock exchange. Trading of the company has been suspended for two days following buyout rumors. Opera began looking for a buyer in August 2015, following slumping earnings after a steady loss of browser marketshare and slowing advertising sales. The company hired Morgan Stanley International and ABG Sundal Collier to help with the search. ‘Our Board has undertaken a careful review of the terms and conditions of the Offer and is unanimous in its recommendation. We commend the management team on the work they have done on behalf of the shareholders, employees and other Opera stakeholders,’ Sverre Munck, chairman of Opera’s board, said. 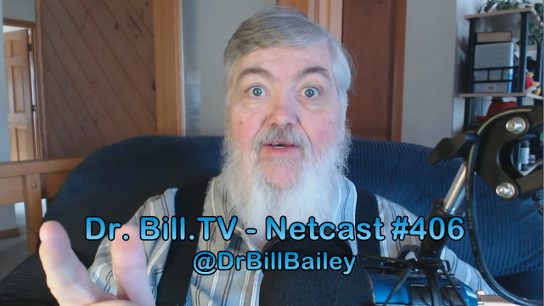 Dr. Bill updates us on his weight loss, Phred is back, and as surly as ever, Barracuda Networks’ Copy and CudaDrive services will go away May 1st, the Firefox Phone is dead, and why we should care, and this week’s GSotW: Chocolately Nuget! Geek Software of the Week: Chocolatety Nuget! How cool is it to be able to install software on Windows as easily as apt-get does in Debian based Linux distros? “Chocolatey is a package manager for Windows (like apt-get or yum but for Windows). It was designed to be a decentralized framework for quickly installing applications and tools that you need. It is built on the NuGet infrastructure currently using PowerShell as its focus for delivering packages from the distros to your door, err computer. Chocolatey is brought to you by the work and inspiration of the community, the work and thankless nights of the Chocolatey Team, and Rob heading up the direction. I wasn’t too excited when Mozilla announced the Firefox phone, but competition IS good! c|net – By: Stephen Shankland – “Maybe you didn’t bat an eye when Mozilla killed off Firefox phones. Not that Google or Apple are up to anything nefarious, but history is full of examples of big companies abusing their powers, including Microsoft, IBM and the old Ma Bell version of AT&T. You already see heavy-handed behavior with your phone. Don’t like Apple Maps on iOS? Tough luck. It’s the default. When the first Firefox OS phones arrived two and a half years ago, Mozilla hoped to repeat its success from a decade earlier when the Firefox browser successfully challenged Microsoft’s dominant Internet Explorer and sparked a tremendous burst of innovation and competition. Instead, Firefox OS was bunched with mobile software also-rans like BlackBerry, Canonical’s Ubuntu and Microsoft’s Windows Phone. ‘The circumstances of multiple established operating systems and app ecosystems meant that we were playing catch-up,’ John Bernard, director of collaboration for connected devices, and George Roter, head of core contributor participation, said Thursday in a note. Ari Jaaksi, Mozilla’s senior vice president of connected devices, said in a blog post that Mozilla will instead focus Firefox OS on the Internet of Things, shorthand for the spread of computing technology to countless devices in homes and businesses. Firefox as a whole is losing clout, though. The Firefox browser’s market share plunged from 19 percent to 9 percent worldwide over the last three years, while Google’s Chrome rose from 32 percent to 48 percent, according to analytics firm StatCounter. On smartphones, you’re more likely to use Apple’s Safari browser on your iPhone or Chrome on your Android device. Increasingly, you’re also relying more on so-called native apps. Not that the Web has disappeared. Who wants to laboriously search for, download and install an app when all you need is a museum’s hours or a flight check-in? Even if you do end up installing a company’s app, its website is often how you interact first. Mountain View, California-based Mozilla used Firefox OS to advance Web technology on mobile devices during a time when Apple became more interested in supporting developers of native apps. Despite its focus on Android, Google remains interested in Web development. Yet for years, Mozilla has helped vet and validate Google’s plans even as it introduced new technologies like asm.js for faster Web apps and WebGL for hardware-accelerated graphics. Firefox OS struggled throughout its development. In May, Mozilla Chief Executive Chris Beard concluded that the company’s effort to find a Firefox OS foothold in low-end, low-cost phones had failed despite partnerships with major carriers like Deutsche Telekom and handset makers like Huawei. In December, Mozilla abandoned partnerships with companies like Verizon. Plan B was to encourage enthusiasts to install Firefox OS on their own phones and turn them into evangelists, replaying the Firefox 1.0 playbook from 2004. But few phones are compatible, installing Firefox OS is harder than installing an app, and popular software like the WhatsApp messaging app is missing. Tellingly, two high-ranking ex-Mozilla executives rely on Google’s Chrome technology. Former CTO Andreas Gal’s Internet of Things startup, Silk Labs, uses the Node.js project, which is based on a crucial part of Chrome called V8. Former CEO Brendan Eich’s new Brave browser is a variation of Chrome’s fundamentals, too. Firefox OS will live on in another form, H5OS, at Acadine Technologies, the startup of former Mozilla President Li Gong. Gong will release the first version of H5OS at the Mobile World Congress show this month and believes Mozilla’s withdrawal means more attention for Acadine. ‘We are the standard bearer in the open and Web-based mobile OS space,’ Gong said. Mozilla itself will continue to push the Firefox browser for Android and iOS devices and for personal computers. Nick Nguyen, vice president of Firefox, promises better performance and new features over the next year. Copy and CudaDrive have provided easy-to-use cloud file services and sharing functionality to millions of users the past 4+ years. However, as our business focus has shifted, we had to make the difficult decision to discontinue the Copy and CudaDrive services and allocate those resources elsewhere. For more information on this decision, please view the blog post from Rod Mathews our VP & GM, Storage Business.